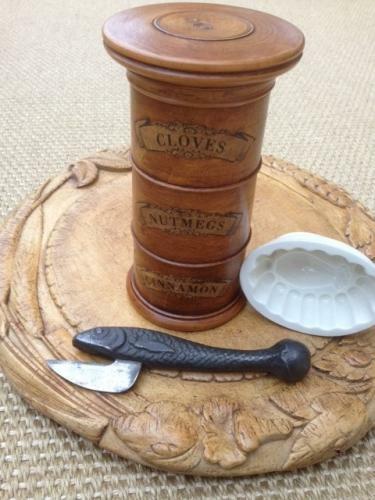 Fine antique 3 tier Boxwood Spice Turret in good condition. No cracks or splits and all tiers unwind well. There is a slight hole at the top edge of one section (shown) this isn't damage but a minor fault in the wood. Can be posted for £8.